Editor’s note: This is the last story in a six-part series on health care costs in the Colorado mountains. The arid garden of affordable health care has sprouted some promising blooms in Colorado’s mountain valleys thanks to innovation, generosity and cooperation. In Pitkin County, a five-way partnership covering 21 percent of the people in the county and emphasizing nutrition, weight loss and everyday health has helped stem annual price bumps and even prompted a decline in premium costs for county employees. 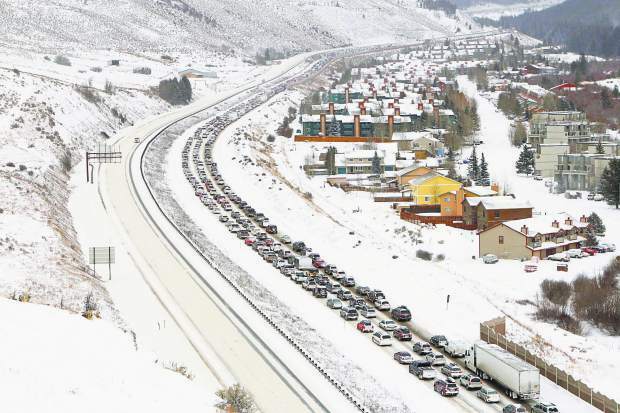 It’s called the Valley Health Alliance, comprising employees and their families of Aspen Skiing Co., Aspen Valley Hospital, Aspen School District, the city of Aspen and Pitkin County. It is one of the many Accountable Care Organizations that have sprung up since the advent of the Affordable Care Act. The two variables of health care are cost and usage, Pitkin County Manager Jon Peacock said. Keep the employees healthier and total costs go down, even if the per-visit costs do not. The emphasis on primary-care relationships, in which ailments and chronic conditions are spotted and treated early and efficiently, is beginning to pay dividends. By focusing on nutrition, weight loss, high blood pressure and stress, primary care doctors can stay ahead of problems that can cost thousands of dollars later. It has saved so much money that the people who work for the county haven’t had a premium bump in three years, and last year they saw a 15 percent decrease in what the insurance company charged the employer, Peacock said. Recently, the alliance offered $200 to any member who showed up at a health fair and then brought the results of the blood tests to his or her primary care doctor for analysis and conversation. With the county paying about $10,600 a year for health premiums per worker — and at least double that for a family of four — the $200 sop was money well spent, Peacock said. Now it looks like it is paying off. From Aspen to Glenwood Springs, there are several different orthopedic outfits, for example. 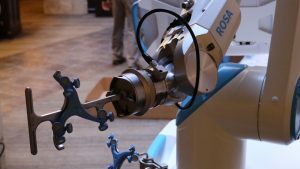 The company thinks there are good options in the valley, but if it means saving a lot of money, they’re encouraged to leave the region for a particular test or procedure. When the employee or a family member finds a good deal, it saves money because there is still money left in the healths avings account for the next medical need. And that saves money for Skico, which, like many larger companies, self-insures. “It’s been an important benefit. I can tell you that from personal experience,” Hanle said. Skico also offers many counseling and exercise classes for employees. “Stretching, yoga, diet, education classes,” Hanle said. “We do everything we can to keep them healthy,” with the idea that healthy people are going to use medical services less. Elsewhere, employers out of necessity are finding ways to save money for themselves and their employees. Colorado PERA, the pension system for teachers and state employees, carved out a special contract with one health system to try to save money on knee and hip replacements. PERA negotiated a steep discount with the provider in return for assuring that provider that a lot of business would surely come its way. Why? Because PERA also told its members that if they went through that provider, PERA would waive all the deductibles and co-pays, saving the individual retiree a lot of money. Employers can be creative in other ways, too, including not treating all their employees the same. Lindsay noted his former employer, Lockton, puts money into a Health Savings Account for all its employees — but puts in more for those earning less than $50,000 than for those earning more. Instead of complaining about the extra costs that the Medicaid population brings to health care, clinics and hospitals here are showing that the system can work. The Colorado Mountain Family Health Clinics have sites in Glenwood Springs, Rifle, Basalt, Edwards, Avon and El Jebel, serving people who are at the federal poverty level or just slightly above. Aspen Valley hospital contributed space and equipment, and other providers have contributed time and equipment. • Tries to connect each customer to a primary care physician. • Combines medical, dental and mental health care under one roof, and trains personnel to be on the lookout for those needs whenever they see patients. • Saves money by reducing unnecessary trips to the emergency room, thus tamping down the rise in insurance premiums. The best part is that the clients “are living healthier lives,” Brooks said. In all, Mountain Family serves 17,000 people. About half are on Medicaid and most of the rest are uninsured because of their immigrant status. Just a handful are young, healthy people who chose to pay the tax penalty rather than pay for insurance, Brooks said. Brooks said health care costs are rising much faster in the commercial insurance market than in the Medicaid population. Rather than scapegoating Medicaid or gutting it, lawmakers should take note that “investment in up-front primary care for the poor has saved the system billions of dollars,” Brooks said. Brooks wants to see more transparency in costs, so consumers and employers, not just health professionals, can see that while one hospital or outpatient clinic might charge $5,000 for a procedure, another will charge just $2,500. Software tools such as Health Advocate would be a boon to employers who self-insure, he said. There are two ways to lower prices. One is the blunt instrument of demanding that providers accept a substantial discount from the insurer. The other is more subtle and is called payment reform: Pay doctors and other providers based on the quality of service they provide and the value their services contribute to the health of the individual and the community. “We have to incentivize the physician, give him or her the latitude to experiment on ways to improve the value and reduce the cost,” said Bill Lindsay, chairman of the Colorado Commission on Affordable Health Care. For years, hospital quality was defined by such things as infection rates, how quickly patients were discharged and the rate of positive incomes, Aspen Valley CEO Dave Ressler said. The new paradigm pushed by the Affordable Care Act — value — is more focused on cradle-to-grave health, healthy lifestyles and efficient care. “How the whole system keeps them healthy, reducing overall resource costs. We are happy to be part of that,” Ressler said. After Children’s Hospital of Denver started looking at value, it made a significant switch in how it treated children who came to the ER with symptoms of appendicitis. Historically, 90 percent of the kids would be given an MRI, which not only is very expensive but exposes the child to radiation. Children’s Hospital suggested to its doctors to only give MRIs when the appendicitis symptoms seem to indicate a complicated case. That brought the MRI rate down from 90 percent to 15 percent. “That is a significant savings and, I would argue, better medicine,” Lindsay said. It’s as much a mandate as it is altruistic, said Aspen Valley CFO Terry Collins. If America can’t find a way to rein in health care costs, the whole system is in danger of collapse, he said. One proven way to lower health costs is to have a greater ratio of primary care physicians — family doctors, internists and pediatricians. But the trend is going in the wrong direction, nationally, in Colorado, and in the mountain valleys of the state, said Kim Marvel, executive director of the Colorado Association of Family Medicine. Studies have shown that regions that have more than their share of primary care physicians per capita have lower overall health care costs, Marvel said. He cited a study that found that when there are only two family or internal medicine physicians per 10,000 people, the average health care costs are 33 percent higher than when there are five primary care physicians per 10,000 people. The region needs another 22 primary care physicians to meet the goal of one PCP for every 1,900, according to Colorado Health Institute’s “Colorado’s Primary Care Workforce: A Study of Regional Disparities.” That would be an increase of 30 percent. But in Colorado, family doctors are retiring faster than they’re being replaced, Marvel said. Obamacare exacerbated the shortage of family doctors, because with 20 million extra people gaining insurance, primary care physicians are stretched even thinner, Marvel said. The research demonstrates that when most of the population has access to primary care, treatment is more likely to occur before severe problems develop, and there are fewer unnecessary trips to the hospital and ER, Marvel said. Also, primary care doctors tend to use fewer tests and are better at protecting people from overtreatment. Especially for the poor, access to a family doctor correlates with better blood pressure, more vaccines and reduced mortality. Countries with the best health outcomes have a physician mix that includes 40 percent to 50 percent primary care physicians — family doctors, internists and pediatricians, Marvel said. In the United States, only a third of doctors are primary care physicians, and currently only a fifth of medical school students are on the PCP track. Medical school is expensive and most graduate with huge loans to repay, so the incentive is there to go into a high-priced specialty. If medical students do their residencies in rural areas, they are much more likely to establish practices there, Marvel said. But of the 13 residencies that require at least some time spent in rural Colorado, the only one in the mountain resort region is in Basalt and requires just one month there out of a three-year residency. The mountain communities have one eye on the long-term solutions, but the other eye on the short-term solutions needed to stop the bleeding. 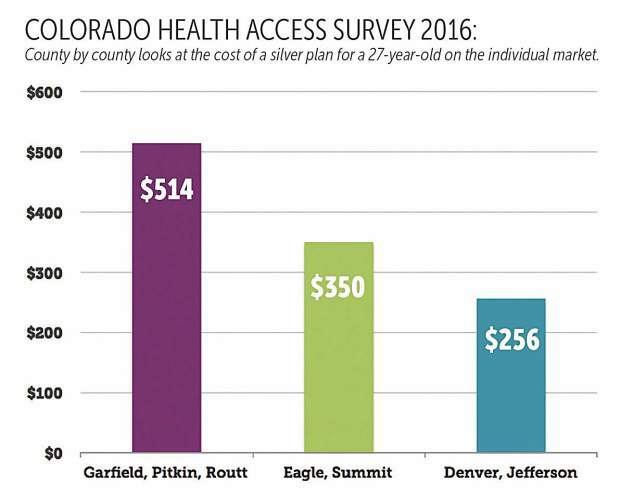 • The Pitkin, Summit, Garfield, Eagle, Routt region is the most expensive area of the state to buy health insurance. • It has a higher percentage of people buying insurance on the individual market — 20 percent versus 8 percent statewide. • And it has a higher rate of uninsured — about 11 percent versus 6.7 percent statewide. Residents who are aware of those stats readily see the connection between the first two numbers and the third. That’s why they continue to push for cooperation from the rest of the state. If you want our water, want to ski on our slopes, soak in our hot springs, hike our trails, how about sharing the cost of health care? 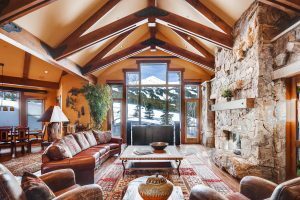 In the meantime, nothing prevents hospitals and doctors in the mountain regions from offering two-tiered pricing — a lower rate for locals, a higher rate for outsiders, say, people from Texas or California who spend a day, a week or a season in the high country, Lindsay said. It can get tricky — does a local utility bill prove you are a local resident? 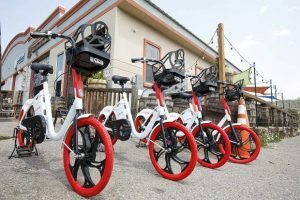 — but it is worth doing, and a way to lower premiums for the majority of full-time residents of Garfield, Eagle, Pitkin, Routt and Summit counties, he said.